A major judicial forum focusing on the reform Ukraine’s justice system and the impact of innovations on the legal industry will take place in Kyiv in mid-November. The seventh annual Judicial Forum (“Judicial System: Global and National Transformation”) will address judicial reform in Ukraine since 2014 and will look at how information technologies and digital tools can shape the future development of the country’s justice system. Ahead of the event, Business Ukraine magazine discussed the role of global innovations in shaping the future of the Ukrainian justice system with forum program coordinator Anna Ogrenchuk (Managing Partner of LCF Law Group) and key forum speaker Jin Ho Verdonschot (international legal tech and justice innovation expert). Many people in the investment community regard judicial reform as the top priority in order to improve the Ukrainian business climate. How do you assess the progress in judicial reform since 2014? The effectiveness of the judicial system is an integral part of the investment attractiveness of any country. This importance was underlined further recently by the decision to introduce a new index into the 2018 edition of the World Bank’s authoritative annual Ease of Doing Business survey assessing the quality of legal proceedings. This new index seeks to assess the implementation of modern practices and standards in four key areas: the structure of the judicial system and judicial procedures, the effectiveness of court proceedings, the level of independence enjoyed by the judiciary, and the availability of alternative methods for dispute resolution. In the 2018 edition of the World Bank’s Ease of Doing Business survey, the quality index for legal proceedings in Ukraine was nine out of a possible score of eighteen. Meanwhile, the average score for the countries of Europe and Central Asia was ten. This is not such a bad result. However, it also points towards significant room for improvement. What are the biggest remaining obstacles to judicial reform? The current judicial reform agenda is a story of attempts to address a large number of fundamental issues in a very short space of time. This is leading to the implementation of ambitious reforms in a variety of different directions simultaneously, including the transformation of the judicial system itself and the renewal of qualification assessments for members of the judiciary. Then there are changes to rules of procedure, reform of enforcement proceedings, changes to the prosecutor’s office and the legal practice in general. In order to make a success of such a large-scale judicial reform process, it is vital to ensure effective communication with civil society and the business community as the end users of judicial services. The lack of a sufficiently effective communications strategy is currently the biggest challenge to the reform process. 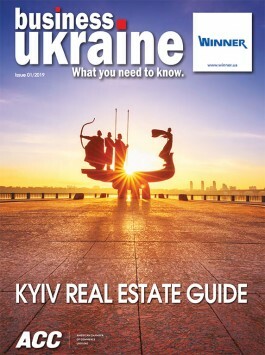 International investors who are considering Ukraine frequently cite a lack of faith in the Ukrainian court system as one of the main reasons why they hesitate to enter the Ukrainian market. This is costing Ukraine billions of dollars annually in lost FDI. What can be done to bolster the credibility of Ukraine’s courts? Today we are witnessing the overload of the Ukrainian judicial system. According to the State Judicial Administration, in 2017 local and appeal courts were considering almost 3.9 million cases. The total amount being claimed in business disputes was USD 25 billion, while there was a further USD 14 billion in creditor claims relating to bankruptcy cases. Taken together, these sums represent around 37% of Ukrainian GDP. Despite the high caseload within the Ukrainian justice system, the average resolution time for business disputes in Ukrainian courts according to World Bank figures is 378 days, which is significantly shorter than the corresponding averages for Europe and Central Asia. Another unfavorable trend in today’s Ukraine is the practice of adopting populist bills that do not have the necessary budget funding support. Meanwhile, the low execution rate of court decisions has a negative impact on the credibility of the entire judicial system. Based on our understanding of these problems, we would support such initiatives as the creation of an institutional framework for private executors and the automatic seizure of assets. The past few years have seen an influx of new Ukrainian judges. How credible has the selection process been and what impact are these appointments having on the functioning of the judicial system as a whole? The selection process for the Supreme Court was unique, both from the point of view of completely new procedures, and in terms of the unprecedented public interest it generated. The expansion of the judiciary, especially in terms of the introduction of lawyers and academics, is undoubtedly one of the main achievements of Ukraine’s post-2014 judicial reform process. The credibility that the judges received is already justified. We are seeing innovative approaches to dispute resolution. At the same time, the number of disputes currently before the courts does not allow us to talk about the unity and consistency of judicial practice in the country, and this is exactly what the business community currently requires. What role do you see legal tech innovations playing in Ukraine’s efforts to create a more credible and effective justice system? The digitalization of the communication process between the court and the participants in the judicial process is a key trend in the development of legal tech in today’s Ukraine. In the public sector, work is underway to automate judicial procedures and data accounting systems. These efforts include the introduction of a unified judicial information and telecommunications system and the launch of an “Electronic Court” pilot project. Meanwhile, there are also plans for the introduction of automatic asset seizure. In parallel to these public sector developments, legal tech startups are rapidly developing in the private sector in order to simplify work with court registers and prepare procedural documents. Internationally, there is already considerable experience of implementing online tools for the resolution of legal disputes between private individuals. During the coming Judicial Forum in Kyiv, we will hear more about one of these platforms from legal tech and innovation expert Jin Ho Verdonschot. About the author: Jin Ho Verdonschot is a legal tech and justice innovation expert. He is the author of the Dutch Rechtwijzer platform (the first online platform for the resolution of individual disputes in the Netherlands) and will be the keynote speaker of the Seventh Judicial Forum “Judicial System: Global and National Transformation” on 15-16 November at the Hilton Hotel in Kyiv. Across the globe, technological advancement is taking place at an unprecedented rate. Nowadays, technology plays a central role in our everyday lives. With the help of very user-friendly apps and websites, the accessibility and usability of many complex services has massively improved. People in Eastern Africa were the first to do all of their banking through their mobile phones. Today, many marriages begin with a swipe on a mobile app, while people increasingly seek mortgages and other financial products online. The legal system, on the contrary, reinvents itself at a much slower pace. This is reﬂected in the speed technology is integrated and the pace at which rules, procedures and approaches undergo reform to better help citizens and organizations streamline their relationships. Essentially, our legal systems still build upon the ancient foundations that have brought justice to people for centuries. The underlying principles are evidence-based and guide us towards a fair, transparent and independent judiciary, providing for a broad system of unbiased protection. For many, the legal system seems built primarily for legal professionals. The user-experience we offer our citizens does not measure up to the experiences they usually have when interacting with services and information in their daily lives. Why is it difficult for legal systems to move as rapidly and responsively as Silicon Valley? There are several reasons including a special kind of leadership challenge that results from our system of checks and balances. Crucially, there is no justice system CEO who can inspire progress with their vision. Additionally, the independence of the judiciary may make it more challenging to cooperate with high-tech suppliers. Meanwhile, rules of procedure are typically created by a small group of civil servants, experts and stakeholders through a high-stake, political process. This regulation of the legal services market often acts as a serious blocker to any innovation that would benefit citizens.